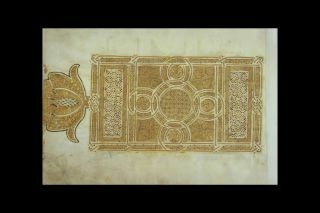 This fragment of the Qur’an includes a sura (chapter) heading marking the beginning of chapter 32 of the Qur’an, which is most often known by the title al-Sajda (Prostration), but in this heading the alternate title al-Tanzil (Revelation) is given. 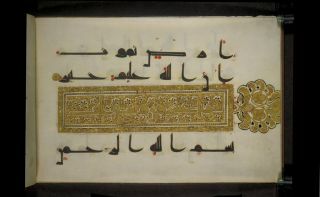 The heading also states that the chapter contains twenty-nine verses. 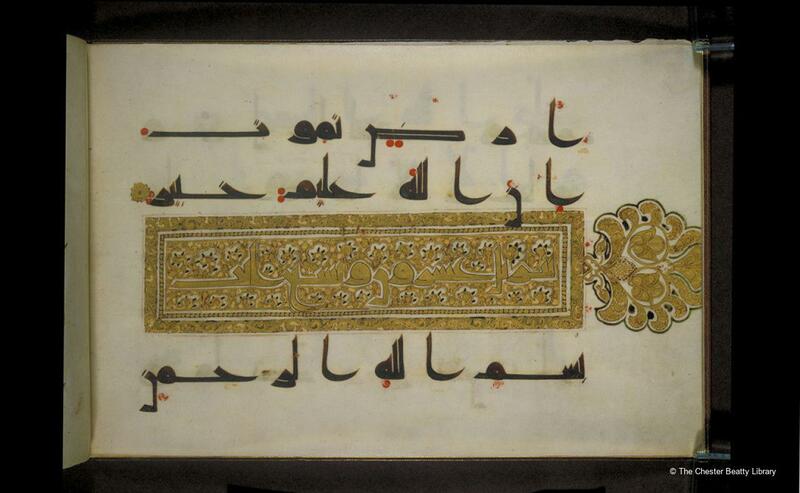 The text of the manuscript is written in black ink in kufic script on vellum. 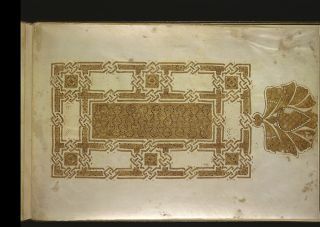 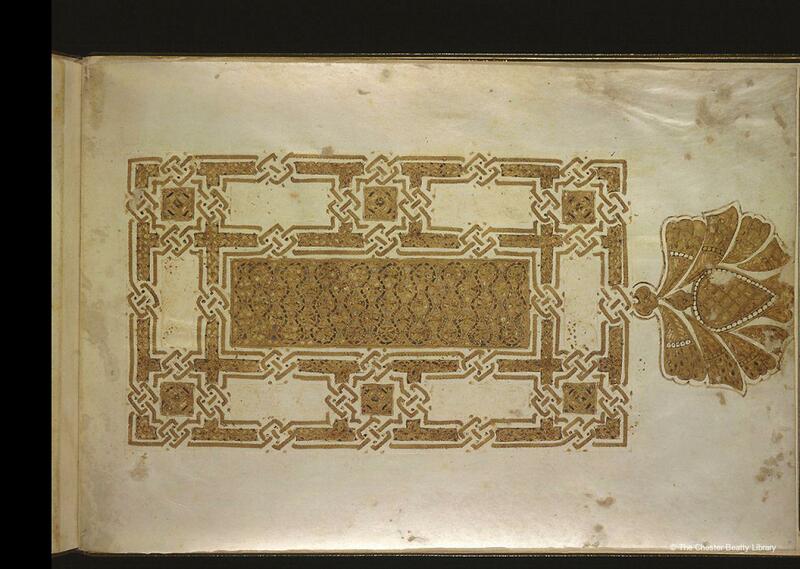 Also included in this fragment of the Qur’an are full-page frontis- and end-pieces, executed mainly in gold with individual motifs delineated in brown.